Here are the steps that were taken practically to do that. Based on feedback from our 2017 conference, we made a commitment to reducing our overall environmental impact. 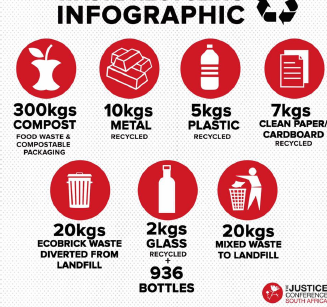 We committed to going greener and are so proud of the way we reduced our collective impact and learnt together about more sustainable waste management. joining us in this commitment to do justice to the whole of creation!